UNM’s Ambulatory Surgical Center offers patients a level of dental care that takes away any fears or stresses when it comes to visiting the dentist. 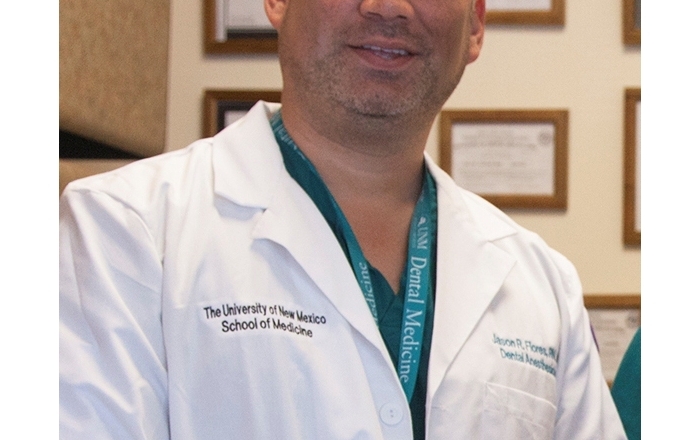 Dr. Jason Flores, director of dental anesthesiology at the UNM Department of Dental Medicine's Ambulatory Surgical Center, has seen patients experience different levels of fear when it comes to visiting the dentist. The most heartbreaking cases, he said, are the children and their families. "I've had mothers come to me, with tears in their eyes, telling me about past dental visits where they listened helplessly as their child screamed and sobbed in the next room," said Flores. Such frightening experiences, he said, keep children and their families from returning to receive the oral care they need. 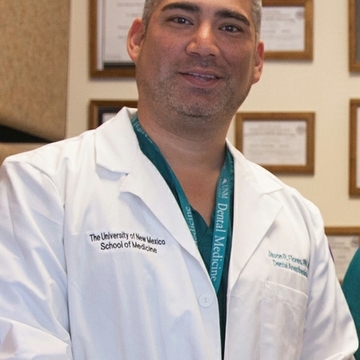 It's a common problem Flores and the Ambulatory Surgical Center aim to address. "We want to make the dental visit a non-traumatic experience for these children and parents," said Flores. "Quality dentistry needs a cooperative mouth and it's hard to provide that when the child is moving around or panicking. We offer a safe and comfortable setting for the child so there is no stress on the child or families." The UNM Ambulatory Surgical Center, located at 1801 Camino de Salud in Albuquerque, N.M., provides outpatient dental procedures with the option of anesthesia. At the center, patients enter a pristine, safe environment with fully equipped operating rooms staffed by dental professionals and anesthesia professionals who manage and monitor the patient's sleep during procedures. While full mouth rehabilitation in children ranging from toddlers to teenagers is the most common procedure the center offers, the center also provides restorative services to adults. Flores said patients usually only need to come for one visit, and most procedures take 45 minutes to an hour. Patients are usually referred to the center by their primary dentist. 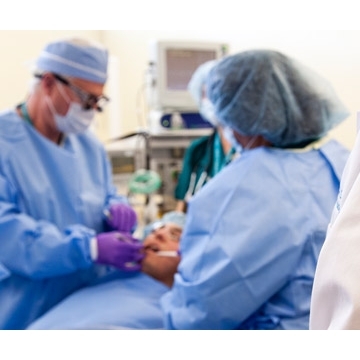 "We are not a primary dental provider, but instead aid dental providers in the state by giving them a surgical center to refer patients in need of deeper levels of anesthesia management," said Flores. "Much like a primary care provider refers a child to a specialist to have their tonsils removed. Once we are done, the child returns to the referring dental office." All of the center's patients go through a thorough consultation before the procedure to go over treatment plan, health history and an anesthesia questionnaire. Overall health and good oral health go hand in hand. You can't have one without the other. "We now know there's strong evidence that shows poor dental health is directly connected to certain diseases like heart disease," said Flores. "We need to start with the children so they grow into healthy adults without these diseases that could've been prevented if we caught them early and gave them proper dental care." Flores added that in general medicine, the mouth has often been overlooked as being connected to our overall health. Access to dental care is all too often regarded as only dental hygiene, which gives the impression that taking care of your teeth is more of a hygienic choice, not a necessary health choice. Flores wants to help change this perception by providing more dental care access to the community, especially children. 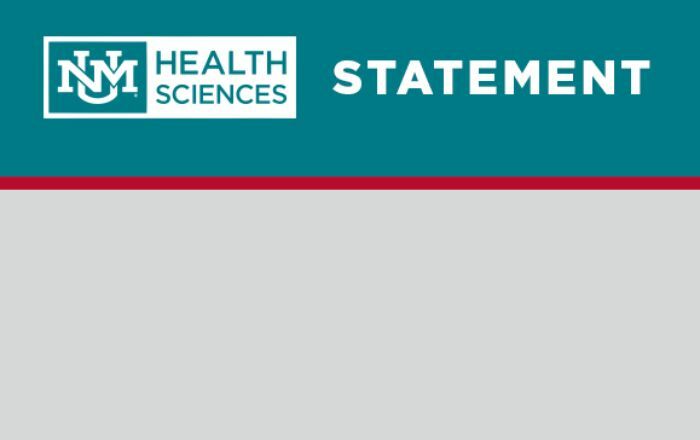 "I believe giving patients and dentists in the community a place like the UNM Ambulatory Surgical Center will help increase access to quality oral medicine," said Flores. For more information about the UNM Ambulatory Surgical Center, visit http://unmmg.org/clinics/dental/asc or call (505) 925-4031.